Black Cohosh plant, Cimicifuga racemosa syn; Actea racemosa, is also known as Rattletop. A standard medicine for American herbalists. Approved by German Commission E as a remedy for treating menopause, menstrual cramp and premenstrual syndrome. A specific for treating tinnitus. Plant foliage has an unpleasant odour. 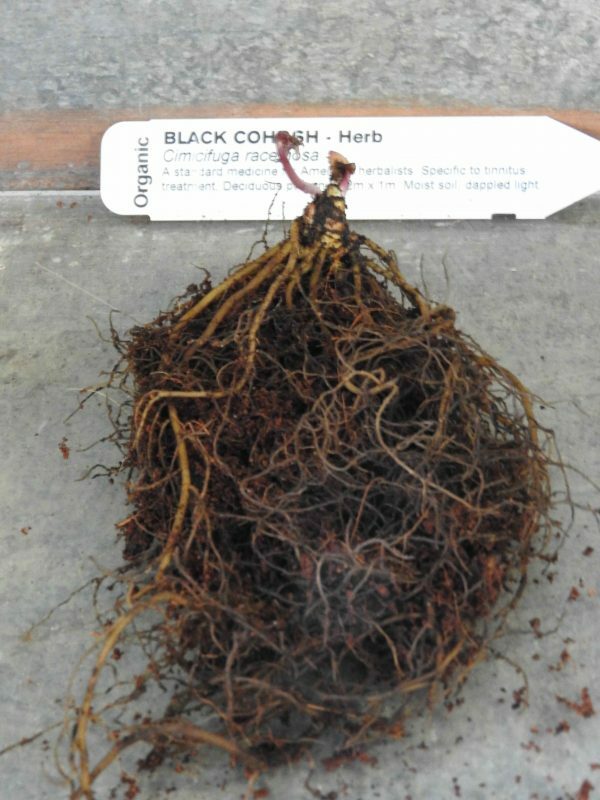 Black Cohosh plant is a native of North America and prefers light to medium well composted soils in a protected partially shaded or sunny position (once established). Long spikes of white flowers in spring and summer. Drought and frost resistant. A perennial plant, growing to 2m x 1m. Supplied as a dormant and bare rooted plant, packed in coir. Price includes delivery. Be the first to review “Black Cohosh plant, July 2019” Click here to cancel reply.